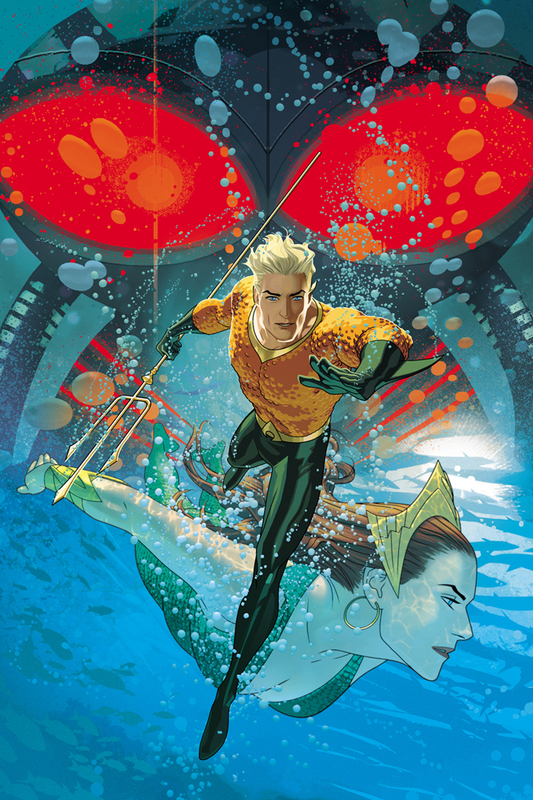 Get ready for a year of AQUAMAN covers, and twice a month at that! Here is one of my first covers for the new series. I turned in the first two at the same time, so I am not sure if this will be for the first or second issue, but we'll find out soon enough- AQUAMAN #1 hits the shelves 6/22.